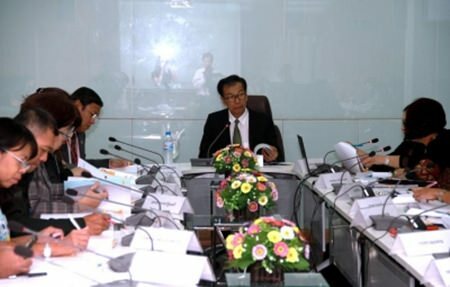 The Permanent Secretary of the Ministry of Social Development and Human Security Vichien Chavalit said Thailand has identified three key concerns in need of immediate resolution to eliminate difficulties in becoming part of the ASCC. They are labor relocation problems, new security problems such as human trafficking and social welfare problems such as alien labor welfare. Mr.Vichien continued that the ASCC aims to contribute to realising an ASEAN Community that is people-oriented and socially responsible with a view to achieving enduring solidarity and unity among the nationalities and Member States of ASEAN. It seeks to forge a common identity and build a caring society which is inclusive and where the well-being, livelihoods, and welfare of the people are enhanced. Thus, the ASCC blueprint is designed to help achieve such goals, and is comprised of six areas: 1) Human development, 2)Social welfare and protection, 3) Social justice and rights, 4)Environmental sustainability, 5) Building an ASEAN identity and 6) Narrowing the development gap.